Another "Perfect" blog post, here you can read about my Perfect Living Room and now it's time for the kitchen. As you already might have noticed from all the "Cook" posts, I (and the BF) like cooking so we like our kitchen spacious and with enough storage! Our current one is big enough for all the cooking, but I love the kitchen and dining space to be in the same room and having a cooking island would be even better! I would love to tear down the wall in between the kitchen and the living room to make 1 big space but I don't think my landlord will allow that. 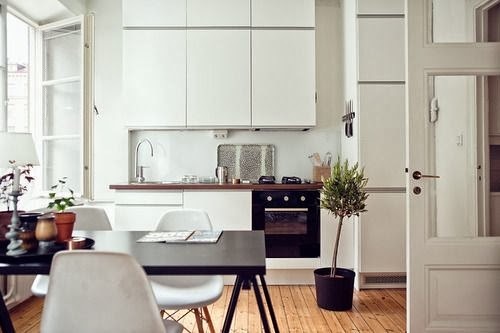 This might be a little to small (not so much counter space) but I thought it looked really cute + every picture with these Eames chairs looks perfect! 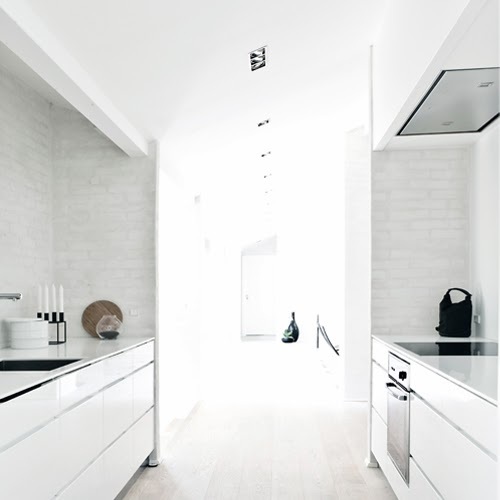 A bit more modern but again a stunning white kitchen! Modern and white, just as I like it! As you can see I like white! White-white-white! Of course you have to keep it clean-clean-clean! 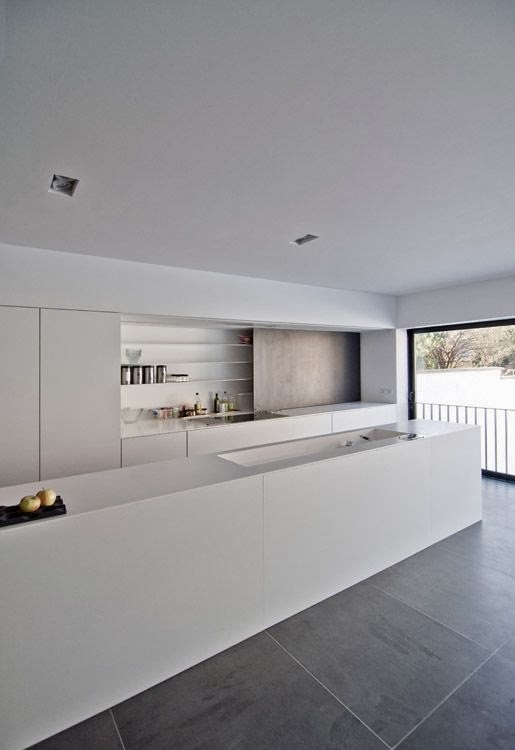 And the combination of white cabinets with wood and concrete or stainless steel is just great! 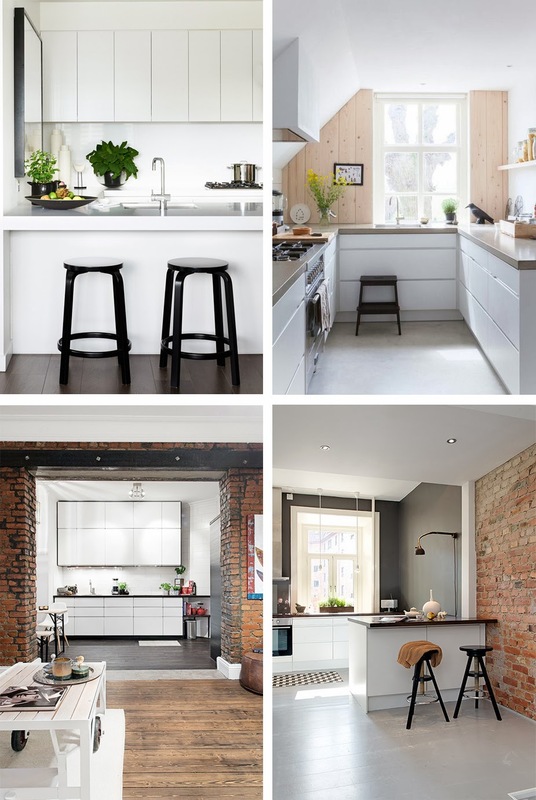 One day I'm going to design my own perfect kitchen! Again I found most of the pictures through Pinterest and my ideal home.